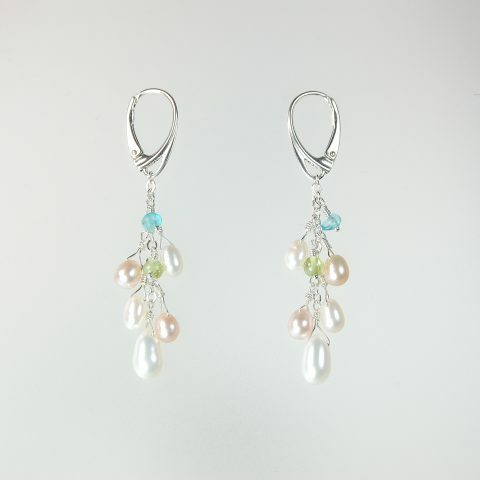 These exquisite dangle earrings combine softly glowing white drop-shaped freshwater pearls with pale seawater blue aquamarine beads for a stunningly elegant effect. 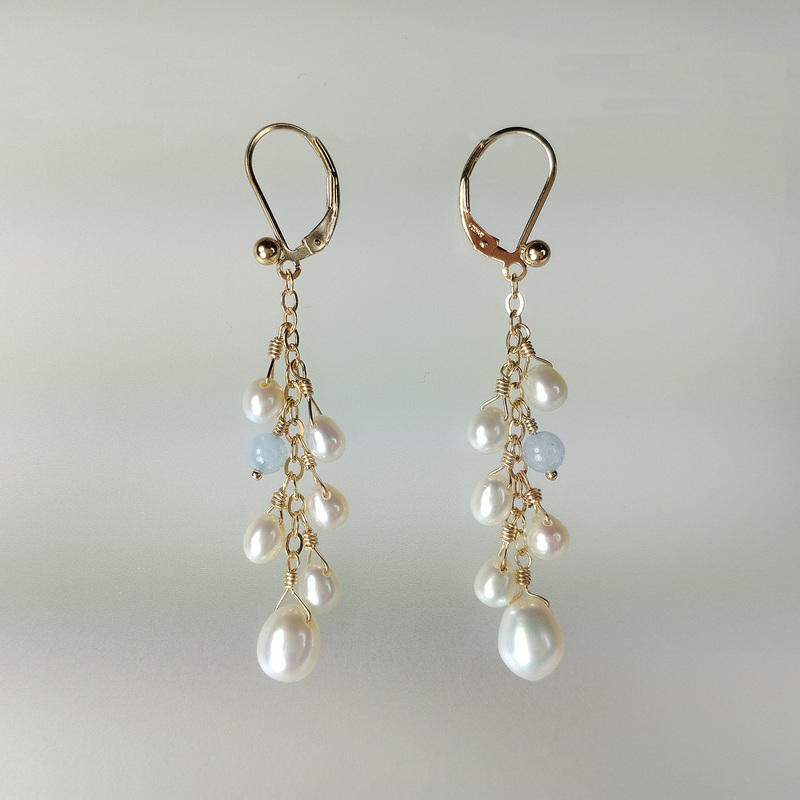 A 14/20 gold-filled lever back and chain together with arfully executed wire work in the same quality material complete the design. 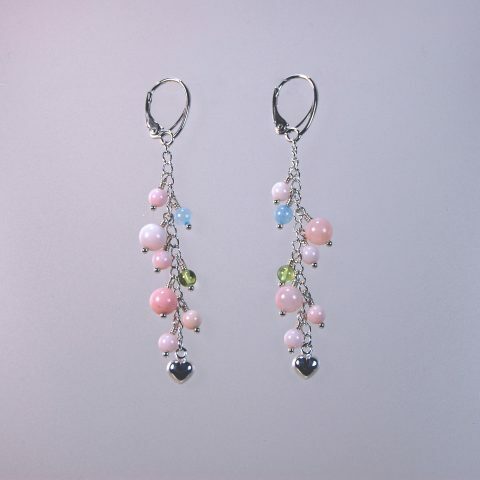 These gorgeous earrings are 2.25 inches long.